Though I'm well and truly into my 30's now, (in fact, I just had a birthday over the weekend), my skin care routine is actually quite minimal. Cleanse, then follow up with a moisturizer and eye cream. I do however try to use a facial brush at least once a day. I know these are seen as a bit of an unnecessary luxury but they're so great at really getting into those pores! And on days I'm feeling extra fancy, I'll throw a micellar water into the mix. Come winter though, my oily skin craves a little more hydration and I tend to get dry patches on my cheeks and around my nose. My regular tea tree night lotion (click for review) just doesn't cut it anymore and I need something a little more creamier. Now, finding a heavier moisturizer that doesn't leave you feeling like a grease-ball can be quite a challenge, especially when you have oily skin. Enter the Anti-Fatigue range from Nuxe - I've been using the moisturizing cream and eye cream for a few months now and have been really loving both! The eye cream is packaged in an airless bottle and comes with a pump. I love that! The pump ensures that the product inside stays true and uncompromised. It is unfortunately heavily scented and has a very obvious floral scent, but I quite enjoy it. In fact, the eye cream contains blue everlasting flower extract, which I believe is what I can smell. I guess that is what contributes to the anti-fatigue property though, the scent is calming and reminds me to breathe. The formula is light and easy to smooth over the delicate eye area, whilst still delivering visible hydration. It also doesn't irritate my eyes. The bottle is quite small and only contains about 15 ml, but a little goes a long way and a half-way pump is enough for both eyes. Now if you have combination to oily skin, the moisturizing cream is for you. Straight out of the tube, the consistency of the cream is quite thick and felt too creamy and rich for my oily skin. I was taken aback by the texture at first, I absolutely detest heavy cloggy creams and thought this would be one of them. But on applying this all over my face, it spread beautifully and absorbed rapidly leaving me with a clean matte finish. Hydration without the stickiness? Whats not to love!? This cream calms dehydrated yet oily skin and leaves you feeling soft and fresh. Again this is heavily scented. I'm not too sure why there needs to be so much fragrance in skincare, it just seems pointless, but as with the eye cream, the scent is calming (albeit a little grannyish) and I enjoy applying both products. Now, despite being targeted towards those with normal to combination skin, I personally would only recommend this for oily to combination skin types and would also advise those with more mature skin to stay away from this. 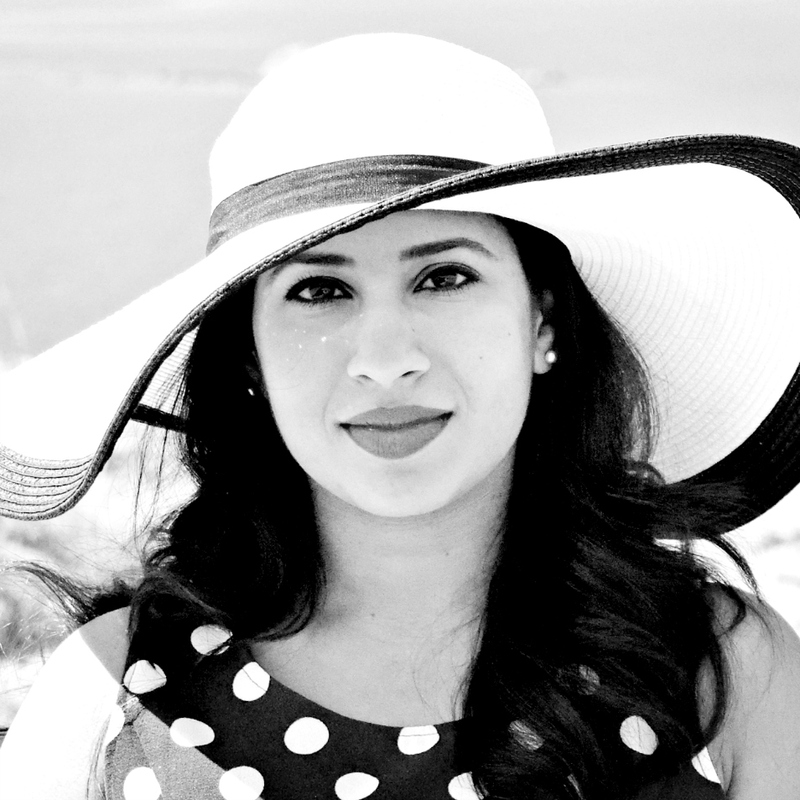 The formula is just too light to aggressively target any skin concerns. 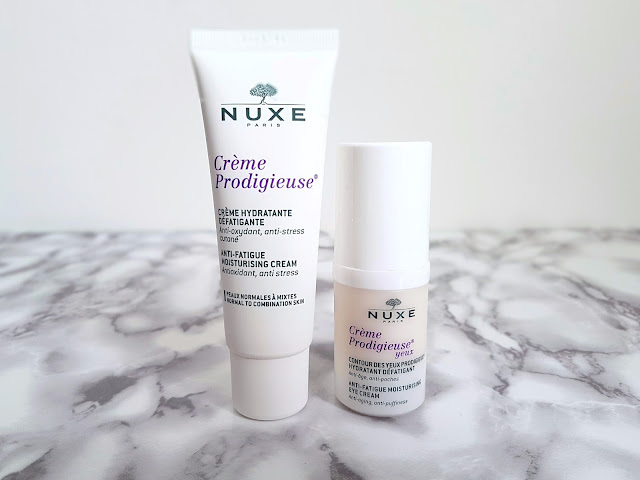 My oily skin however has been really loving both these and I can see myself repurchasing both the Nuxe Crème Prodigieuse Anti-Fatigue Moisturising Cream and the Eye Cream throughout these colder and more drier months. Nuxe is available in Boots and Al Mutawa Pharmacies throughout Kuwait. Belated Happy Birthday Mimi ! Always good to read ur blog. 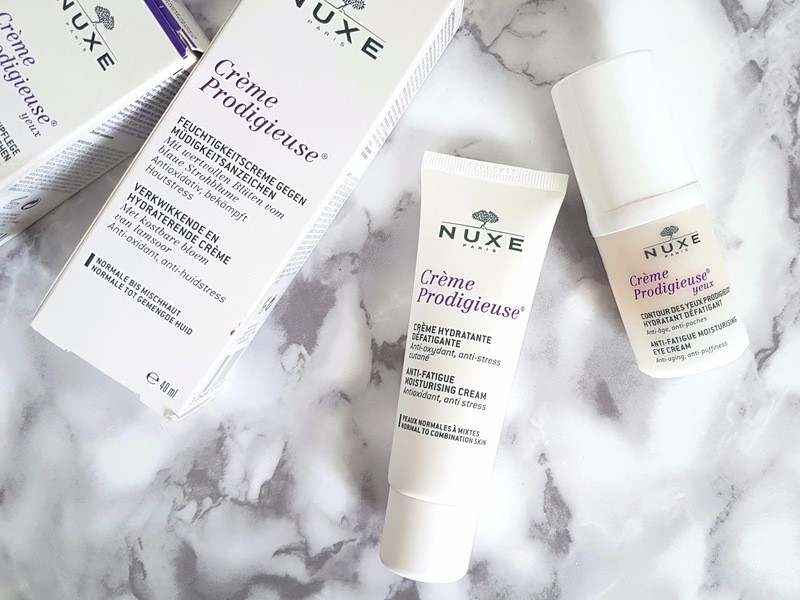 I havent tried Nuxe range at all. Seems interesting. Sonia! Hi, its so good to hear from you again. Thank you for the birthday wishes :-) Oh, you need to try Nuxe. They have some really beautiful products and I've really been enjoying these two this winter. I'm trying 3 more products from another one of their collections so will be writing about them after properly trying them out too.